Meredith Corp. has acquired Time Inc. -- the publisher of Time, People, Sports Illustrated, Fortune and Entertainment Weekly magazines -- for $18.50 per share in an all-cash transaction valued at $2.8 billion, backed by conservative billionaire brothers Charles and David Koch. Meredith borrowed about $3.6 billion from a number of lenders to buy Time Inc., though the $650 million from the private-equity subsidiary of Koch Industries is drawing the most attention. The company is owned by the conservative Koch brothers, who have backed numerous right-wing causes and politicians. Steve Lombardo, a spokesman for Koch Industries, told The New York Times the Koch brothers' company's role in this deal is similar to that of a bank. “This is a passive financial investment made through our equity development arm,” Lombardo said. This deal will combine Time Inc.’s New York-based news, business and sports brands with Meredith Corp.'s family, lifestyle and women-focused titles, such as Better Homes & Gardens and Family Circle. It will also bring weekly publications to the Des Moines, Iowa, media company's portfolio. Most telling, this deal will give Meredith scale. When combined, the Meredith and Time brands will have a readership of 135 million and paid circulation of nearly 60 million. 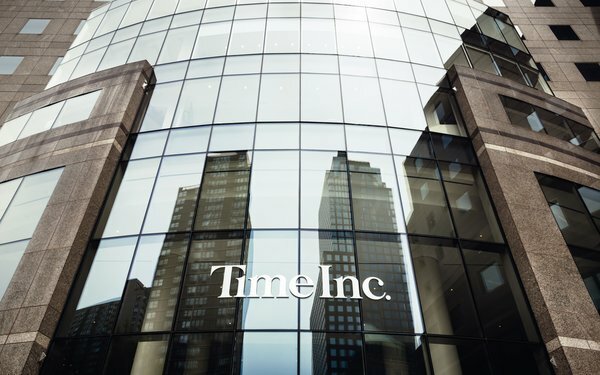 Their digital media business will include 170 million monthly unique visitors in the U.S. and more than 10 billion annual video views, according to Meredith Corp.
Time Inc. has struggled to build a strong business in the wake of the digital transformation legacy publishers have been forced to undergo. In the third quarter, its total revenue fell 9.5% to $679 million, compared to the same period last year, marking the sixth straight quarter the company has missed revenue expectations, according to Reuters. It also suffered a 12% decrease in advertising revenue. This is the third known attempt by Meredith to buy Time. In 2013, a deal fell through when the two publishers could not agree on which magazines Meredith would buy. Earlier this year, Meredith was reportedly one of the parties interested in buying Time Inc., but Time Inc. decided not to sell. Instead, CEO Rich Battista introduced a strategic plan to focus on the publisher’s digital business by offering paid services, like a food-and-wine club. Battista also planned to cut costs by about $400 millio, and explored the sale of several of its magazines, such as Coastal Living, Sunset and Golf, a majority stake in Essence, and Time Inc UK. In a note to its staff members Sunday night, Battista said he believed in “our strategic transformation plan and in our ability to write the next great chapter of this storied company.” He added, “That said, as a publicly traded company, and one operating in such a dynamic industry as media, we know circumstances can change quickly." Battista will leave Time Inc. when the deal with Meredith closes, likely in the first quarter of 2018. The magazine industry has consolidated dramatically this year. Rodale, the publisher of titles like Men’s Health and Prevention, is being sold to Hearst Corp. Wenner Media, the owner of Rolling Stone, is putting its iconic music magazine up for sale. 1 comment about "Meredith Acquires Time, Inc And Gains Scale: 135M Combined Readers". Ed Papazian from Media Dynamics Inc, November 28, 2017 at 6:55 p.m.
One has to laugh at the fact that after all of the years of total audience data the reference point for the "reach" of a magazine portfolio is still the average month or, in most cases, the average issue. The yearly reach of the new Meredith portfolio is, of course, quite a bit larger than noted in their statement---not that it matters as this isn't going to impress any one into allocating more dollars to magazines, generally. All it does is give Meredith a larger share of the shrinking magazine ad spend pie.